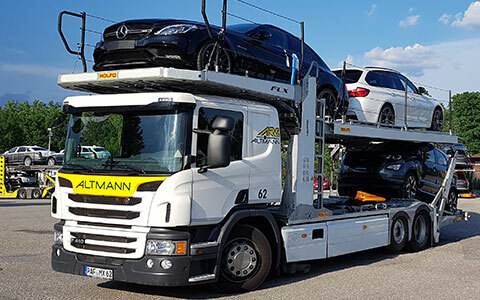 Our consistently young fleet of trucks consists of Mercedes-Benz, MAN, Scania and IVECO trucks as well as trailers from Kässbohrer and Rolfo. 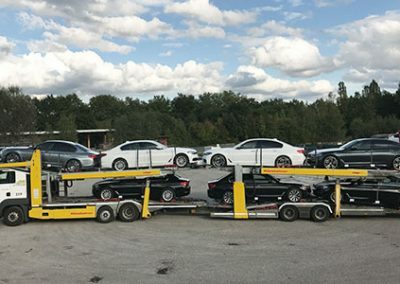 We process the majority of our orders with our own modern assets. 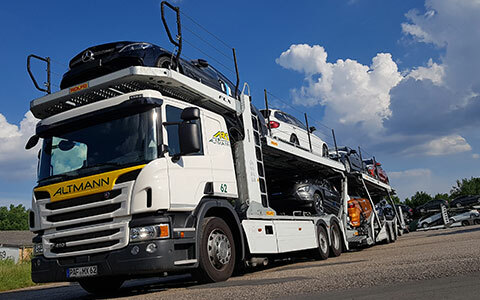 In addition, we have access to an extensive network of reliable partner companies that have been with us reliably, faithfully and continuously for more than 30 years. 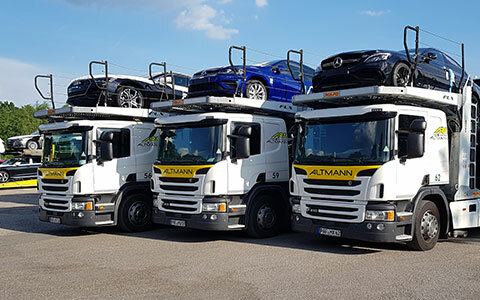 Our fleets in Germany, Poland, the Czech Republic, Italy and the UK are managed by a comprehensive management team. 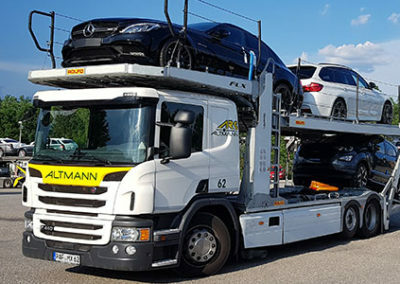 This merger and the accompanying standardization and optimization of all processes on site enable us to operate economically and cost-effectively and ensure the satisfaction of our customers. 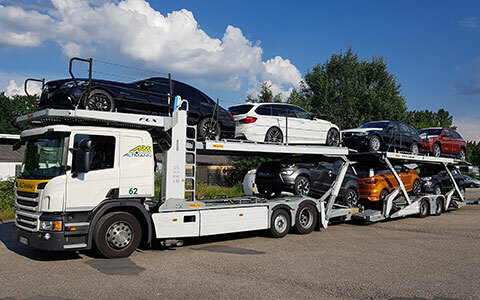 We purchase our engine cars from IVECO, Mercedes-Benz, MAN and Scania, bodies from the manufacturers Kässbohrer and Rolfo. 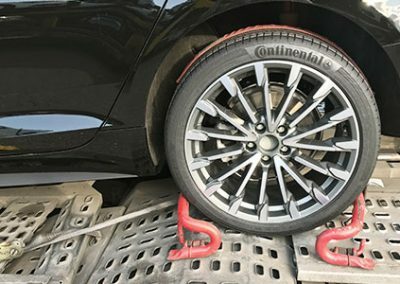 Our eight fleets are equipped with state-of-the-art technology and modern driving safety systems. 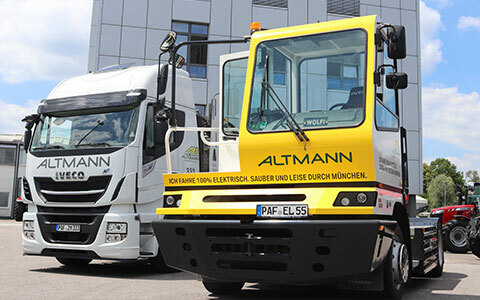 With an average truck age of 2.5 years and continuous maintenance cycles, unplanned outages are reduced and meet the latest safety and loading standards. 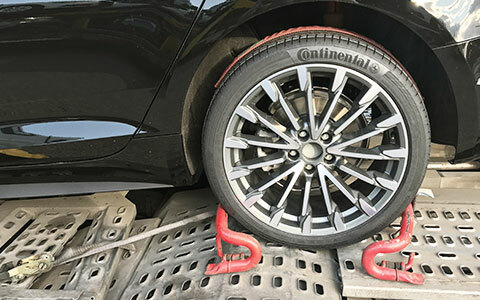 In this way we also meet our ecological requirements. 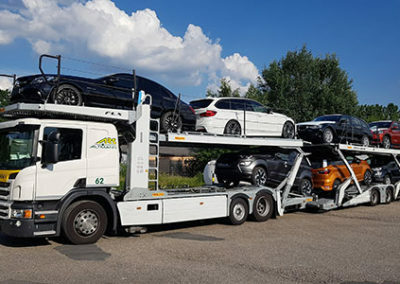 In addition to driving safety, our internal driver training courses also include courses for economical driving and eco-training to reduce fuel consumption. Mio. 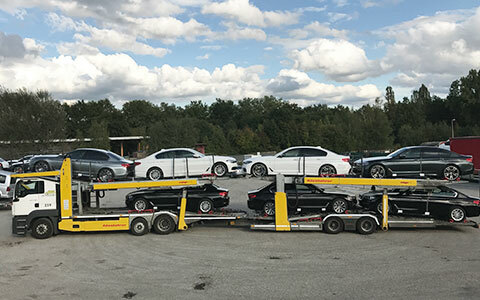 transported vehicles by truck p.a. 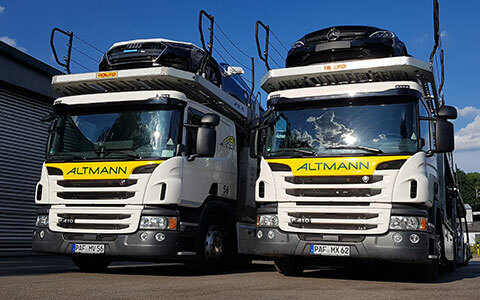 In order to avoid a mixture of freight forwarding and fleet turnover through truck sales and thus to guarantee maximum transparency for our employees, customers and shareholders, we at ARS Altmann have centralized all our truck purchases and sales in our subsidiary VFL Verwaltungs & Leasing GmbH. 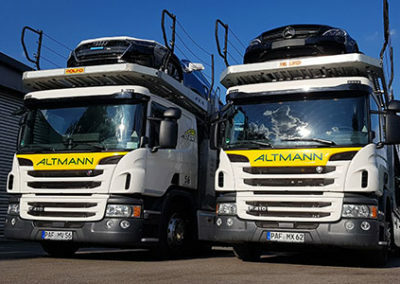 For more than 25 years she has been successfully responsible for planning, technology and cost minimisation in fleet procurement for the entire Altmann Group. 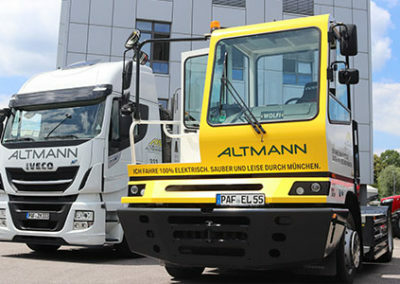 For the rest, we have partner companies that have been standing by our side for more than 30 years.